Congenital heart disease (CHD) occurs in approximately 8 of 1,000 births, with approximately one-third requiring invasive treatment or resulting in death within the first year of life. Parents of children with complex CHD need timely and accurate information regarding the diagnosis, treatments, surgical outcomes, and protocols of follow-up to provide the best care for their children. Decision-making at the time of diagnosis is especially critical; hospital choice is a major predictor of survival, yet most parents do not have access to data about surgical outcomes upon which to choose the most appropriate facility for their child. The information received from physicians, the Internet, and other sources is highly variable, unverifiable, and often inaccurate, further complicating the process of decision-making. Despite the limitations and concerns of publicly reporting data about surgical outcomes, we argue that this information must be accessible to parents at diagnosis to ensure true informed consent and to achieve best outcomes. Improved communication throughout the lifetime of the patient is also needed to ensure awareness and treatment of potential co-morbidities associated with CHD. The Internet provides an unprecedented opportunity for improved education of patients and their parents as well as collection of data regarding issues related to complications and quality of life that are not yet well understood in this population. These methods of communication and collection of data are critical in achieving the best long-term outcomes for patients with complex congenital heart disease. European Association for Cardio-Thoracic Surgery (EACTS) Congenital Database. http://www.eactscongenitaldb.org. Accessed 25 May 2013. Congenital Heart Disease Website; National Institute for Cardiovascular Outcomes Research (NICOR). https://nicor4.nicor.org.uk/CHD/an_paeds.nsf/vwContent/home?Opendocument. Accessed 25 May 2013. The National Archives; The inquiry into the management of care of children receiving complex heart surgery at the Bristol Royal Infirmary. In: Learning from Bristol: the report of the public inquiry into children’s heart surgery at the Bristol Royal Infirmary 1984–1995. Bristol Royal Infirmary Inquiry. 2001; http://webarchive.nationalarchives.gov.uk/20090811143745/http://www.bristol-inquiry.org.uk/index.htm. Accessed 25 May 2013. University College London; National Institute for Cardiovascular Outcomes Research (NICOR) Background. http://www.ucl.ac.uk/nicor/audits/congenitalheartdisease/background. Accessed 25 May 2013. New York State Department of Health. State Health Department Releases reports on cardiac surgery: New York first in nation to release heart valve and pediatric cardiac surgery data. 6 May 2004. http://www.health.ny.gov/press/releases/2004/cardiac_release_05-06-2004.htm. Accessed 25 May 2013. HLHS Information Page. www.HLHSinfo.org. Accessed 25 May 2013. CHD Resources. www.CHDResources.org. Accessed 25 May 2013. Optum Health. https://www.myoptumhealthcomplexmedical.com/gateway/public/patients/evaluationAndCostSavings.jsp. Accessed 25 May 2013. Aetna Institutes of Excellence™ Pediatric Congenital Heart Surgery Facilities. http://www.aetna.com/docfind/cms/html/institutes_of_excellence_pediatric.html. Accessed 25 May 2013. 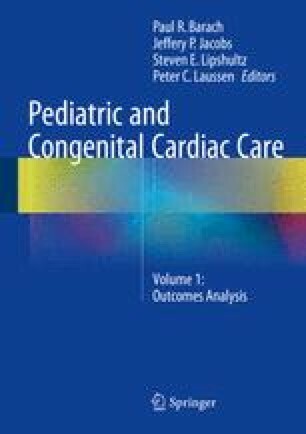 Parents Magazine; 10 best children’s hospitals for heart care 2013. http://www.parents.com/health/doctors/best-heart-care-hospitals/. Accessed 25 May 2013. U.S. News & World Report Methodology; Best children’s hospitals 2012–13. http://www.usnews.com/pubfiles/7-17PedsReport2012_June25.pdf. Accessed 25 May 2013. U.S. News and World Report: Top-ranked pediatric hospitals for cardiology & heart surgery. http://health.usnews.com/best-hospitals/pediatric-rankings/cardiology-and-heart-surgery. Accessed 25 May 2013. Boston Children’s Hospital; #1 ranked pediatric hospital by U.S. news and world report. 2013. http://www.childrenshospital.org/microsites/Site3412/mainpageS3412P0.html. Accessed 25 May 2013. Children’s Hospital of Philadelphia; More no. 1 rankings than any other hospital in nation: CHOP leads U.S. News & World Report’s best children’s hospital list. 2013. http://www.chop.edu/about/best-in-the-nation/. Accessed 25 May 2013. Mott Children’s Hospital, University of Michigan; Congenital heart conditions and treatments 2013. http://mottchildren.org/medical-services/ped-heart. Accessed 25 May 2013. Texas Children’s Hospital; Heart Center. 2013. http://www.texaschildrens.org/heart/. Accessed 25 May 2013. Consumer Reports Health and The Society of Thoracic Surgeons. Heart Surgery Ratings Background and Methodology, Consumers Union, August 2011. http://www.consumerreports.org/health/resources/pdf/society-of-thoracic-surgeons/Heart-Surgery-Ratings-Background-and-Methodology.pdf. Accessed 25 May 2013. The Society of Thoracic Surgeons; STS public reporting online: Heart Surgery Outcomes – public access. STS Heart Surgery Outcomes – star ratings avail by hospital or surgical group. http://www.sts.org/quality-research-patient-safety/sts-public-reporting-online. Accessed 25 May 2013. Consumer Reports; Heart bypass surgery ratings. http://www.consumerreports.org/health/doctors-hospitals/surgeon-ratings/ratings-of-bypass-surgeons.htm. Accessed 25 May 2013. State of California; Office of Statewide Planning and Development (OSHPD) Coronary Artery Bypass Graft (CABG) Surgery in California. http://www.oshpd.ca.gov/hid/Products/Clinical_Data/CABG/index.html. Accessed 25 May 2013. Department of Health Care Policy – Harvard Medical School. Reports on risk-standardized mortality rates for hospitals performing coronary artery bypass graft surgery and percutaneous coronary interventions in the Commonwealth of Massachusetts. MASS-DAC Data Analysis Center. http://www.massdac.org/index.php/reports. Accessed 25 May 2013. State of New Jersey Department of Health; Cardiac Surgery. http://www.state.nj.us/health/healthcarequality/cardiacsurgery.shtml. Accessed 25 May 2013. New York State Department of Health: Cardiovascular disease data and statistics. http://www.health.ny.gov/statistics/diseases/cardiovascular/index.htm. Accessed 25 May 2013. Pennsylvania Health Care Cost Containment Council (PHC4) Cardiac Surgery in Pennsylvania 2008–2009. http://www.phc4.org/reports/cabg/09/. Accessed 25 May 2013. Truven Health Analytics; 50 top cardiovascular hospitals. http://www.100tophospitals.com/top-cardio-hospitals/. Accessed 25 May 2013. Scientific Registry of Transplant Recipients (SRTR); US hospitals with heart transplant centers. http://www.srtr.org/csr/current/Centers/TransplantCenters.aspx?organcode=HR. Accessed 25 May 2013. Rosenfeld JS. Section 504 and IDEA: basic similarities and differences. Wrights Law. http://www.wrightslaw.com/advoc/articles/504_IDEA_Rosenfeld.html. Accessed 25 May 2013.